Welcome to the Boulders Inn & Suites hotel in Denison, IA. 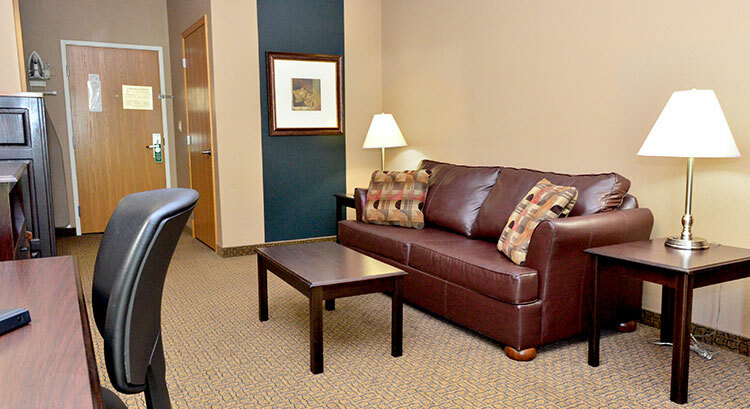 Our Majestic Hills location offers a comfortable, clean and convenient hotel in southwest Iowa, minutes away from downtown Denison. Guests may enjoy golfing, shopping downtown or taking a moment to enjoy Yellow Smoke Park trails. 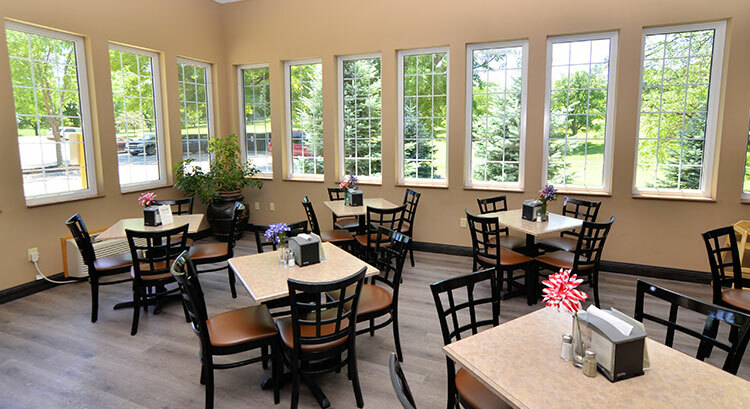 The Majestic Hills location in Denison is the original Boulders Inn & Suites hotel, where guests first enjoyed unrivaled amenities and elevated comfort. Whether you’re planning a golf weekend, romantic getaway or business retreat, Boulders Inn & Suites offers the tranquility necessary for you to be at your very best. Our contemporary guest rooms and suites are elegantly appointed in light hues and soft wood tones, featuring spectacular views of the Majestic Hills Golf Course. 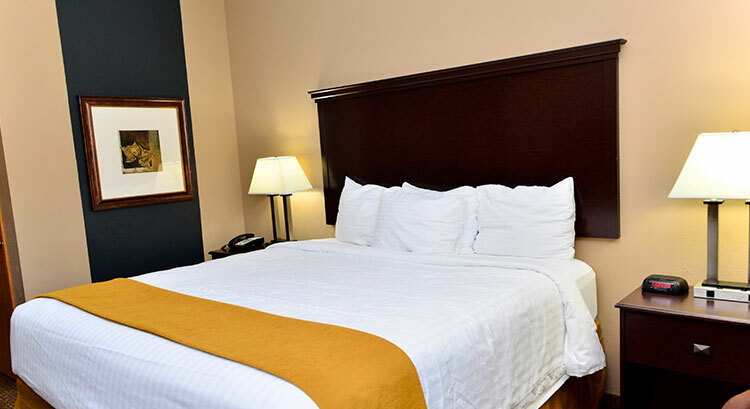 At the Boulders Inn & Suites, our cozy and spacious guestrooms let you unwind, relax, and rest peacefully. 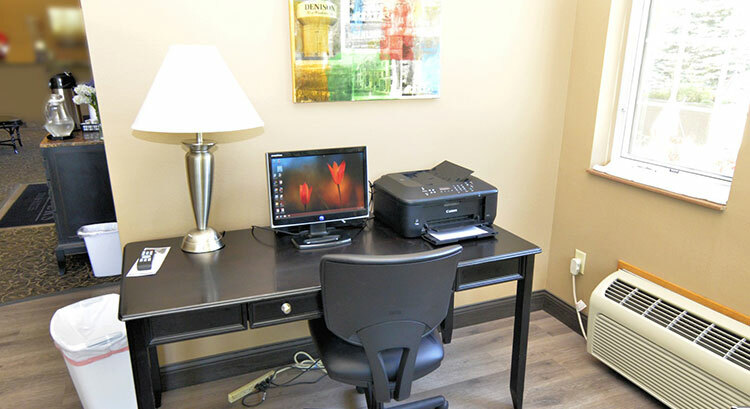 The Boulders Inn & Suites in Denison offers a variety of nearby dining options, attractions, and businesses. To book Denison for a large group, please fill out the form below. This will go directly to the hotel and they will contact you.